and it will take care of us. Empathy and Ranching………. Do they have anything in common? How can I show more empathy? Reata & Sawyer. Friends are so important. To me, empathy is something that we should practice every day. Empathy is nurturing, loving, caring, relating, understanding, and communicating. Empathy can be taught. Ranching to me is an example of empathy. 365 days of the year, every animal on our ranch needs care and nurturing. Our animals depend on us. We take it seriously. My cowboy is one person that shows empathy every day. He works very hard in making sure all the animals on our ranch have their needs met every day. He is known for eating one meal a day. We have been calving, and it is more important to him to make sure that the mama cows and their babies have all their needs met. He also works part time at a feedlot. I have a lot of respect for people that work at feedlots. Working long hours and in the elements, they get their jobs done with the reward of knowing that they took care of the cattle to their best abilities. This is mom and Kason. She taught empathy to me. I am very thankful that I know the importantance of empathy. My parents showed me empathy the day that they adopted me from an orphanage. I can never repay the debt that I owe them, but I feel like I can pass on the love, care, nurturing, communication and understanding to my friends, and to our children. Cody saved these 3 calves from being frozen. They are all alive today! Ranchers tend to their animals and their land with love, care and understanding. Whether you have to feed it, or it is a sick calf that needs medication, or a horse that needs his feet trimmed, ranchers put their own needs second. 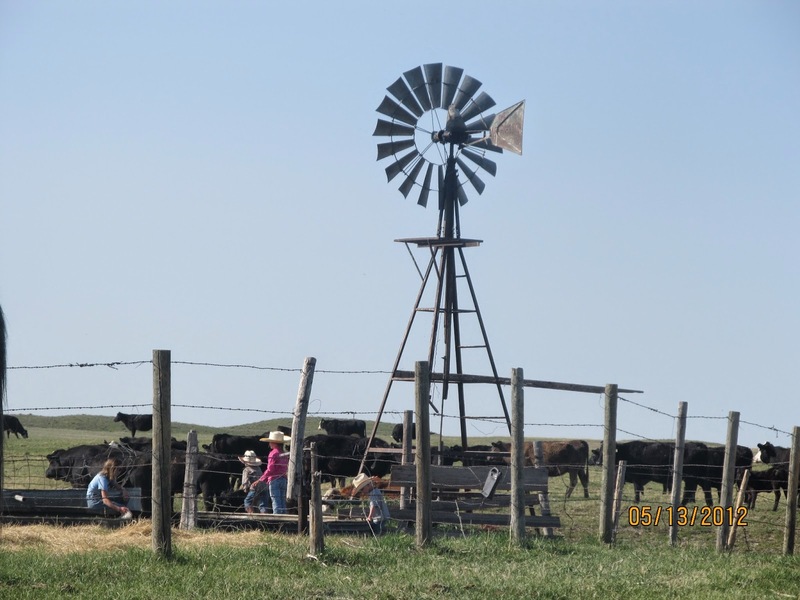 Ranching is loving your life and making decisions to better the land and use resources that God has given us to produce a wholesome, nutritious product that we can be proud of. We all depend on agriculture and agriculture depends on us. I believe that it takes special people to raise crops and animals. I have been talking a lot lately to a few of my friends about empathy. We have agreed that to some people empathy is natural, and some people have to learn empathy. Empathy is so important to me that I encourage my children to show empathy toward their classmates, their team mates, and their family every day. I encourage you to show empathy every day. Listen when a friend needs an ear, give a hand, be honest, communicate, show respect, and understand that we are not all perfect. A little empathy goes a long way. seen the good and the bad of ranching. I would like to become a better person everyday. Why We Need Farmers and Ranchers….